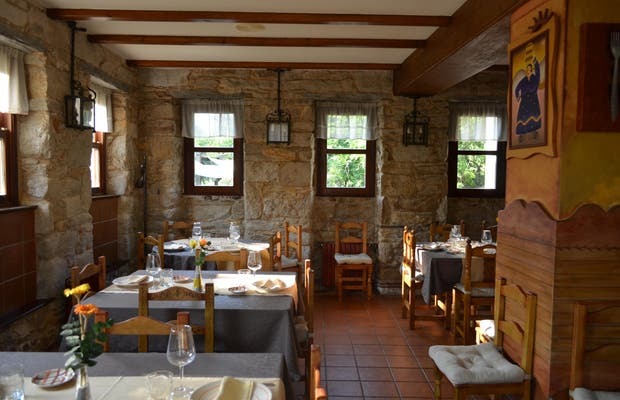 The "Cantina do Rio Coves" is situated in Pontedeume, near Ombre. It is located in a stone building with a sign indicating in white letters on black background "Cantina do river Coves". The bar has two indoor areas but in good weather I recommend having drinks under the pergolas. The spot provides traveler relaxation. You can have a beer, wine, soda ..., well, anything. You can take it to one of the spikes they offer. You will not have to raise your voice to make you hear or listen to others. That said, you can relax quietly sipping something. The menu offers variety of products to consumer tastes.